The day and age we live in couldn’t be better for moto enthusiasts. The technology available has allowed engineers and builders to create things that 10 years ago would’ve been completely unheard of. If you need proof of that look no further than the Bugatti Chiron for example. 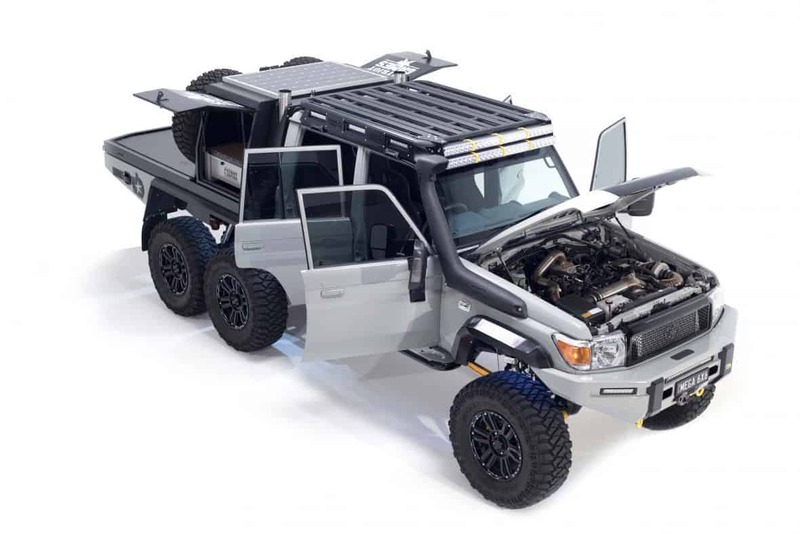 However, that also applies to the world of off-roading and a prime example of that would be this Megatourer 6×6 built by an Australian based company called Patriot Campers. At first glance, you might think this is similar to the Earthroamer monster we recently talked about, and in a way it is. 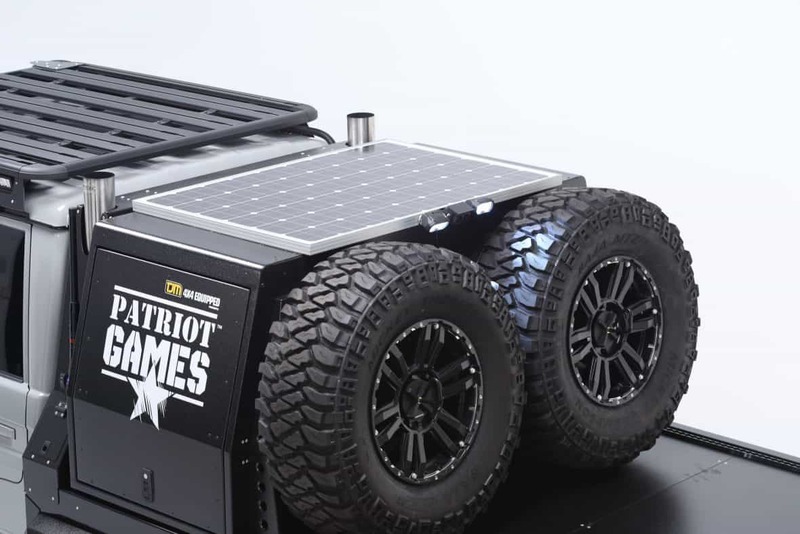 However, the Megatourer is even more rugged and off-road capable and rather than having essentially a five-star hotel room attached to the bed of the vehicle, Patriot prefers to tow their sleeping quarters behind them in the worst off-road trailers you’ve ever seen before. As a matter of fact, those trailers are a Patriot specialty and they are what put the company on the map. 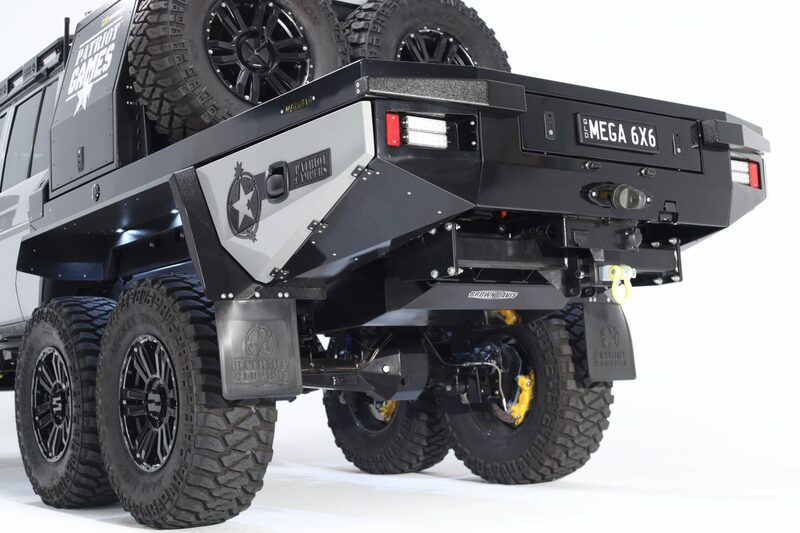 But in this case, we are more interested in the vehicle that would be towing the trailer and that, of course, is where the Megatourer comes in. 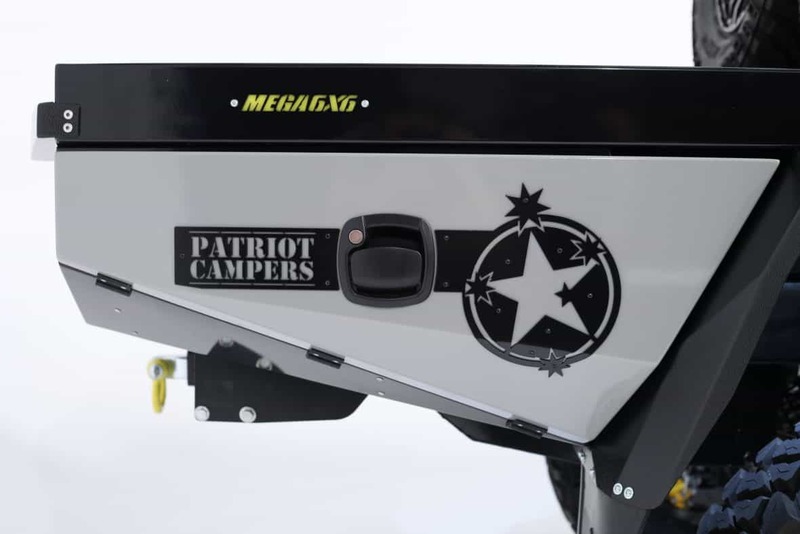 As I said, Patriot Campers is an Australian company based on the Gold Coast of Queensland and therefore the vehicles they use are slightly different than what we use here in the states. 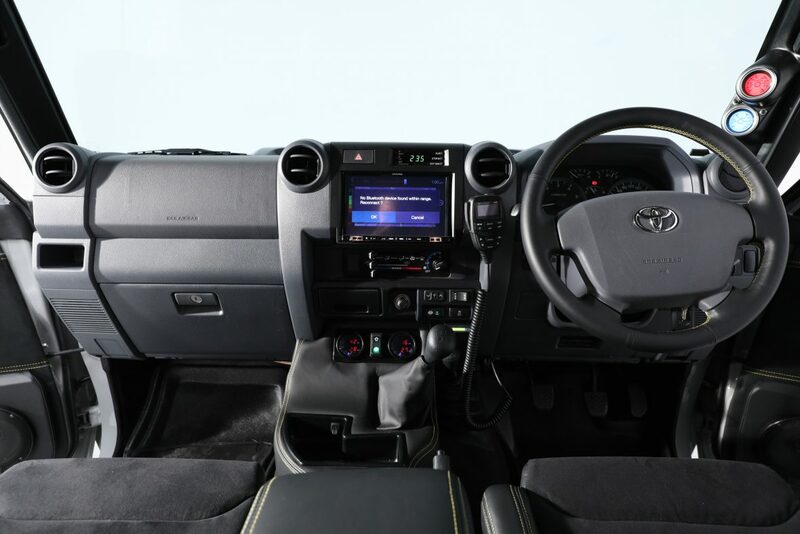 A keen moto-trained eye will quickly point out that the Megatourer is a Toyota Land Cruiser 79 Series, at least it used to be. 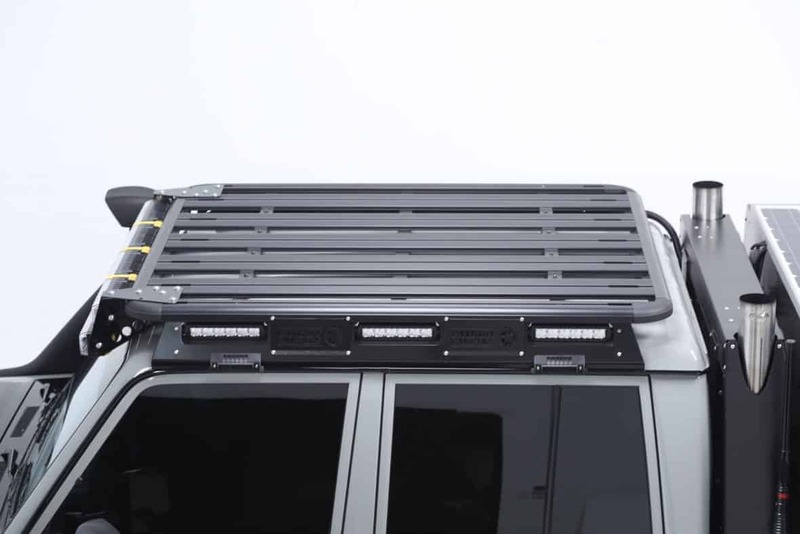 But after extensive research and development, the talented crew at Patriot managed to turn this Landy into a 6×6. They pride themselves on creating vehicles that work rather than the show vehicles they appear to be. That means their vehicles are extremely capable when the blacktop ends and the harsh terrain begins. 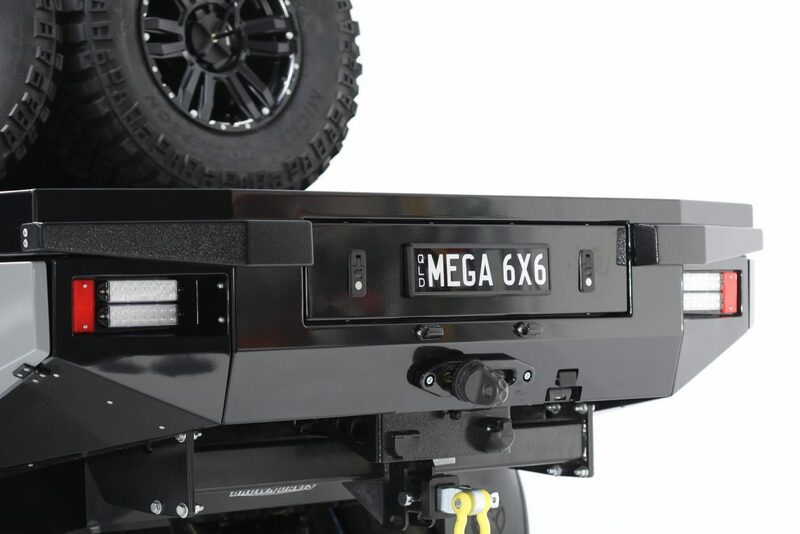 In fact, they are quick to point out the Megatourer has a “true six-wheel drive” thanks to electronic lockers on all three axles and one Detroit locker in the center. Which to my understanding will allow you to lock up all six wheels so they all turn at the same time! Imagine the traction you can get with something like that, especially when you have six 37-inch Micky Thompson tires all churning up the Earth at the same time as the grip and claw through whatever the terrain might be. Even that in itself is pretty damn impressive, but you already know there’s more to this beast than just six-wheel drive. What might be even more impressive is the suspension system this monster has underneath. 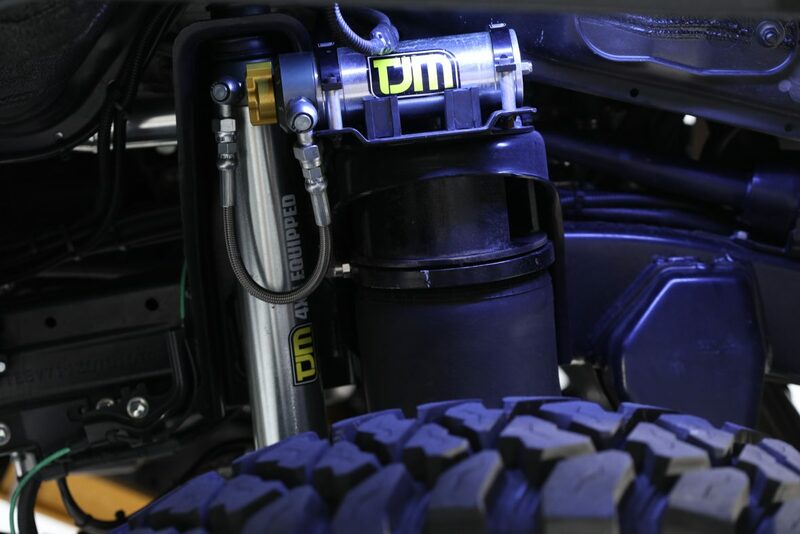 I say that because the entire vehicle rides on a fully adjustable air suspension that can drastically change the ride height with just the touch of a button. 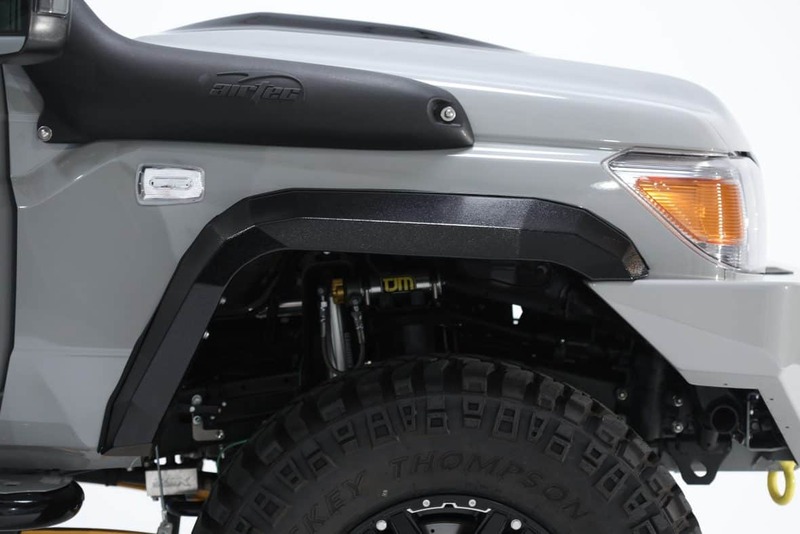 Say you start to get high-centered out on the trail, push that button and suddenly the vehicle will go from having a 4-inch lift to an 8-inch lift which would surely clear you of that obstacle so you could drive away. 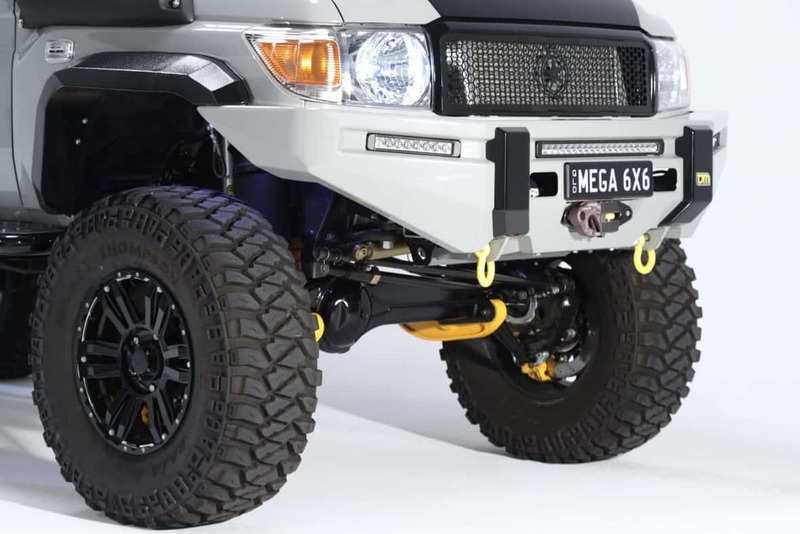 However, I should also mention that the Megatourer is fitted with Portal Axles which also increases the ground clearance and ride height so the chances of getting high-centered in the first place are slim, at least slimmer than a standard axles setup. Not only will the air-ride make a world of difference when it comes to off-roading, but apparently it’ll give you a smooth as silk ride when you are painfully driving this glorious machine on regular roads. One other mechanical feature I wanted to point out was the powerplant. 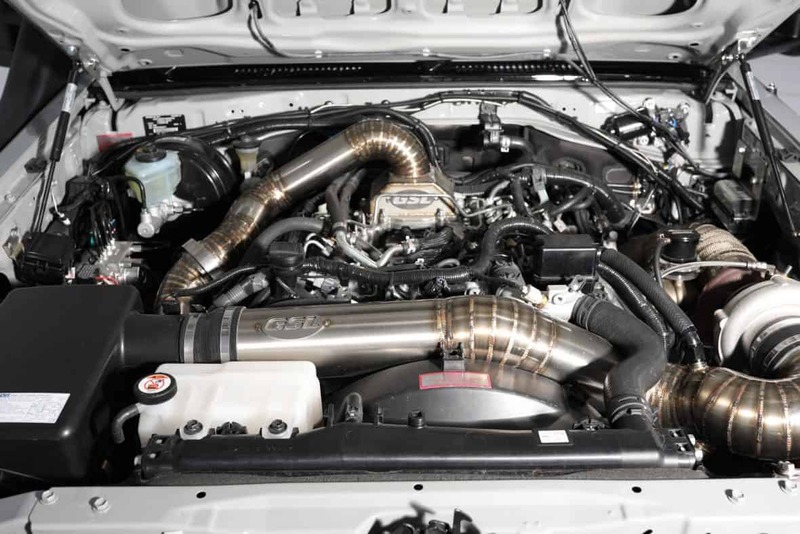 The crew at Patriot called in some help from a company by the name of JSL and they apparently worked their magic which resulted in a twin turbo setup and 4-inch exhaust. According to a video released by Patriot, they still are working out a few bugs but the end result should have in excess of 500hp on tap and I believe it’s a diesel-powered engine too so the torque figures should be up in the 1,000lb-ft range, if not more. Exact specs weren’t released so that’s a bit of speculation, regardless though, there should be more than enough oomph to churn those massive 37’s. Lastly, I want to talk about some of the amenities that come on the Megatourer. It’s obviously fitted with a long list of goodies that would come in handy in the outdoors such as enough lighting to make night turn to day. 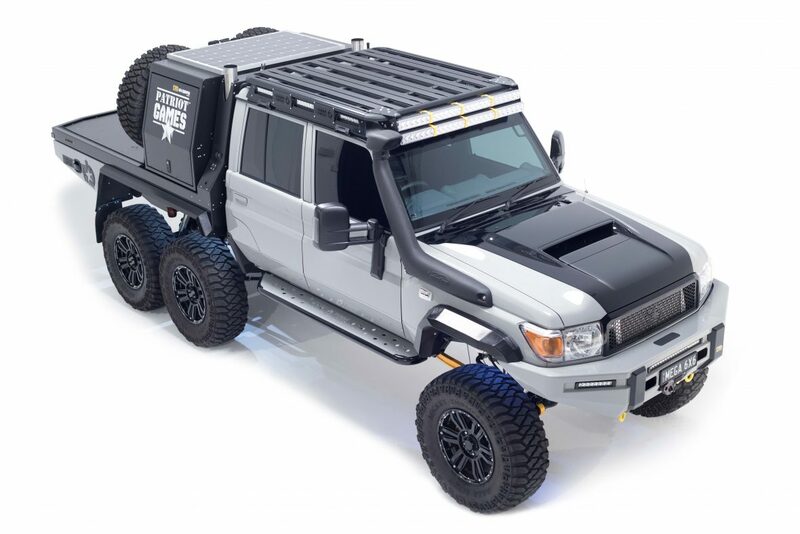 It also comes with solar panels up top and large batteries to hold all that extra juice. You might also be interested to know that in the toolbox that sits behind the cab is stocked with a compressor, and even better a refrigerator! How cool is that? 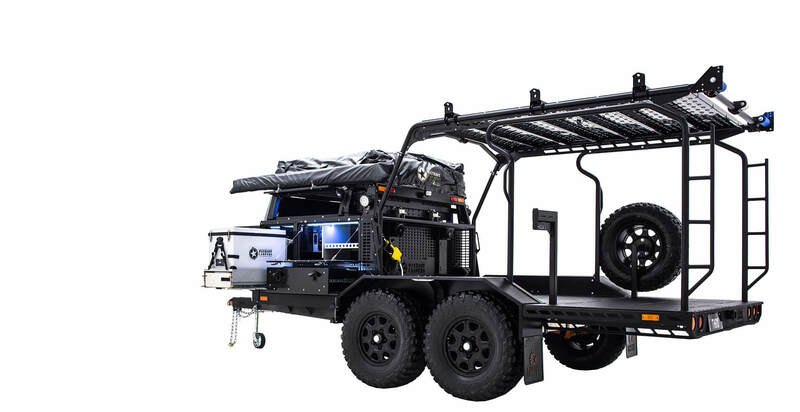 However, the coolest thing as far as I’m concerned is the flatbed because it has the giant tool chest but also leaves room to put a four-wheeler or possibly even a snowmobile if you don’t mind it hanging off just a bit. In regards to pricing, exact figures have not been released, at least that I could find. But based on Patriot’s smaller “Super Tourer” which is listed at approximately $124,990, I have to assume it would be well into the $200,000 range if not more. And even if that’s the case, I think that would be money well spent and absolutely worth every penny.